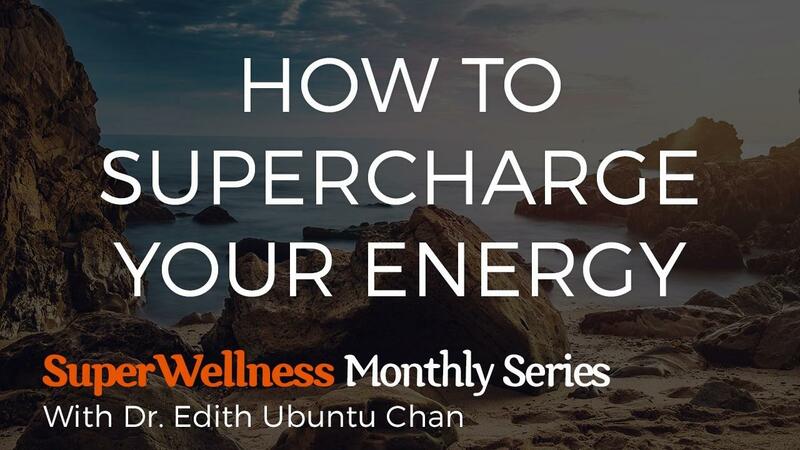 SuperWellness - How to Supercharge your Energy! We'll begin with a beautiful healing meditation to let go of stress. Rejuvenate ourselves through the Breath and return to our Center. From this state, Dr. Edith will guide you into a powerful contemplation practice, where you can find Clarity, Alignment, and Inspiration for the life you wish to create for yourself! Learn powerful Jedi-tricks for Supercharging your Energy! Understand the profound impact our Energy has - on our family, our community & our world. Uncover the root causes of Fatigue. Eliminate the things that drain your Energy. Understand how to truly nourish your Body, Mind, Emotions, Soul. Discover why your Energy-level is 100% within your control, at every moment. Access unstoppable Vitality & ENERGY to live the Life you love! This webinar is for entertainment & educational purposes only. It is NOT intended to diagnose or treat any medical conditions. Within the context of this webinar, Dr. Edith Ubuntu Chan is serving as a meditation facilitator & educational speaker - NOT as your medical provider. Always consult your doctor in a timely manner for any medical concerns. Never change or discontinue any doctor prescribed medical treatment without consulting your doctor first. In this webinar, any comments made by Dr. Edith Ubuntu Chan or any other participants are NOT to be taken as substitute for individual medical advice.You hereby forever release, waive and discharge any claims against Dr. Edith Ubuntu Chan, The School of Dan Tian Wellness, LLC, & associates. You confirm that you're using this product solely for your personal entertainment or education and take full responsibility for your own action & results.